Hakka Restaurant in KL is located in an old building behind the Pavilion. If you're not familiar with the area, driving there can be a nightmare. The food was okay, with some dishes making the mark and some not. We thoroughly enjoyed our meal, partly because we were so sick of Shanghainese food by then. It was also the first time in 10 days that we ate rice, as we didn't eat a grain of rice (except for rice wine grains in dessert soups) on our Shanghai trip, and it was so comforting. 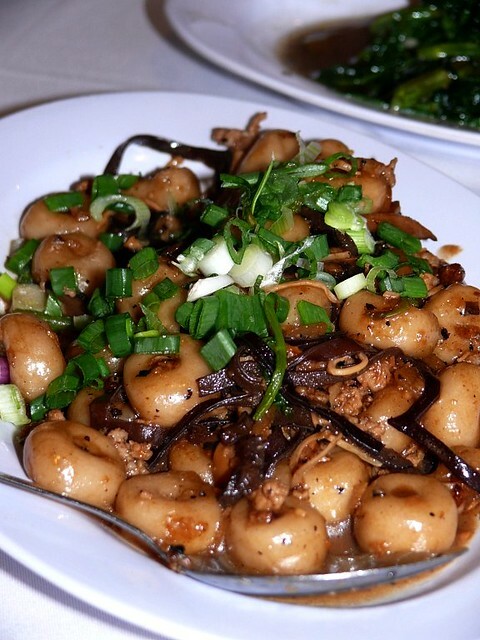 Hakka Restaurant's food leans more towards simple and unfussy home-cooked dishes. 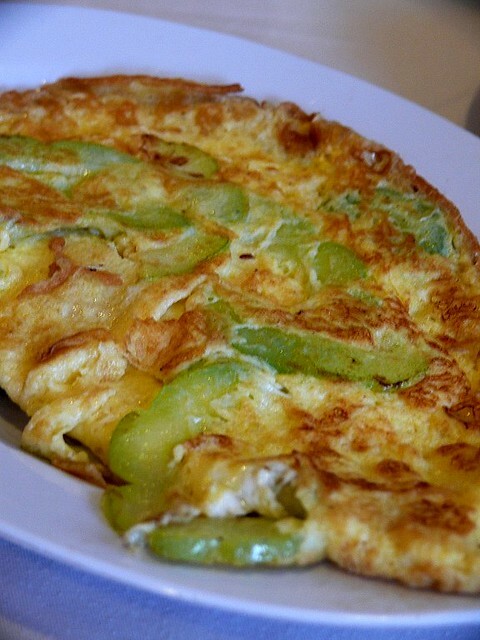 Bittergourd omelette, a refreshing dish after all the fancy dishes we ate in China. 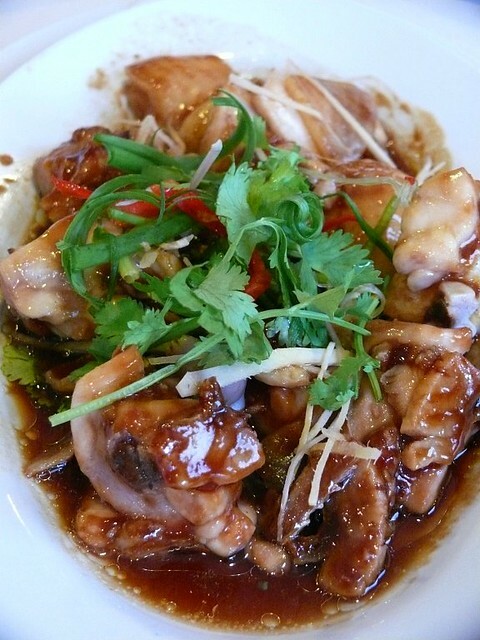 Steamed chicken with salted fish. Are you drooling yet because I am. I thought Hakka kiew nyuk is always with taro and five-spice powder so I was disappointed when they served a plate of kiew nyuk with mui choy. Restaurants always cook veggies dishes so well , and this plate of water spinach with fermented bean curd was yummy. 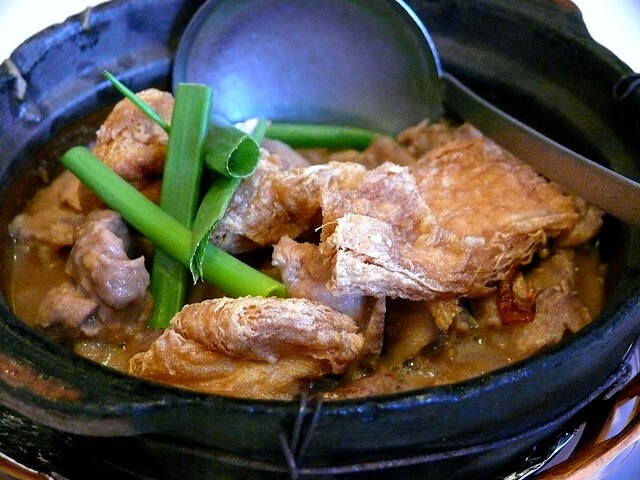 A delicious claypot of taro and pork. This was disappointing because the 'abacus' hardly had any taro and tasted like ordinary flour dumplings. I've always wanted to try Hakka 'abacus' which is similar to gnocchi except the 'abacus' has taro instead of potatoes. Although the Chinese in Sabah are mostly Hakkas, this dish is not found here probably because Sabah Hakkas are different from the 'abacus'-eating Hakkas in the Peninsula. Next up is another tasty meal somewhere in Kepong. I'm leaving for Melbourne first thing tomorrow morning but do check in and say hi because I have scheduled some posts. We've had some pretty decent Hakka abacus here in Cheras. Hi!there're about 20 sub Hakka dialects.Their specialty are different. Mui Choy with Braised pork is a common dish. Taiwanese Hakka food is so good. Here in Kuching we have kou rou with mei chai. Another variation from kou rou with taro. 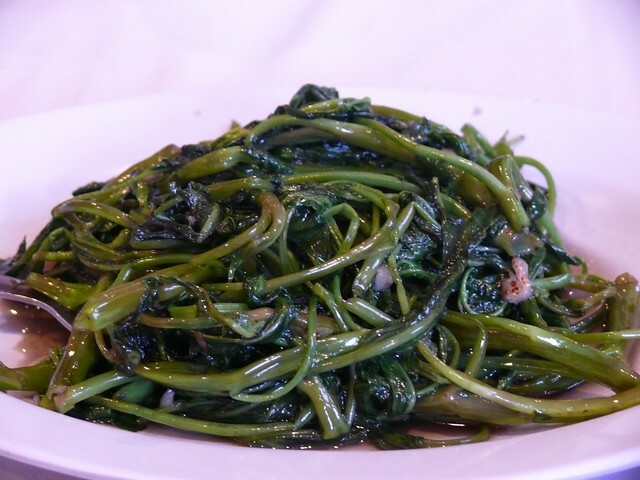 Mooi choy kiew yuk is the most popular dish for the hakkas in peninsular side. Hakka restaurant has been around for along time, now probably the 3rd or 4th generations running it. Their signature dish, "loh mi kai," flavored glutinous rice stuff in the whole chicken and deep fried, is a dish you should try( need pre-booking) and their red bean dessert soup. My mom actually makes and sells Hakka kiew nyuk in kk Sabah ! She has pork belly and taro ! Hers is the best in k k . It is a vanishing trade! 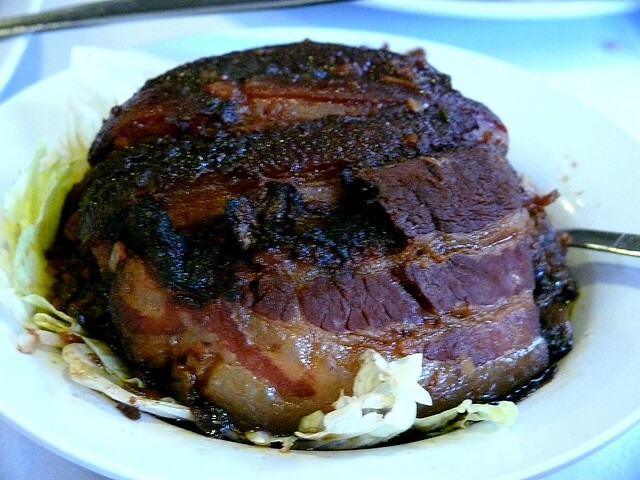 In a few years from now, you may not be able to try this home made kiew nyuk !